Anyone walking under the arch of the gateway John Medley Building at the University of Melbourne is met by a large blue sign with white letters exhorting the reader to 'Dream large'. This slogan for the new 'Melbourne Model' evokes broad horizons, new pursuits, diverse opportunities and a dynamic university experience — everything, one imagines, that a university should offer. But tertiary education in Australia has of late been plagued by a raft of difficulties, most of which are well known and many of which stem from poor funding. The University of Melbourne's well publicised adventure seems to encapsulate some of those difficulties. The Melbourne Model emerged in the context of a sector under pressure and is an attempt to reposition the University of Melbourne according to an American pattern which emphasises life experience and high quality postgraduate education. Its vision is attractive: a tertiary model where students gain a wide ranging undergraduate education to be followed by more specialised postgraduate studies. Indeed the Melbourne Model envisages the ultimate transformation of the whole Australian tertiary sector. However, that exhortation to 'dream large' has in practice come to convey irony, to both staff and students. While the Melbourne Model rhetorically espouses flexibility, so far it has often been experienced as inflexible. Some students have begun to think of it as a strategy to disguise retrenchment and diminution. 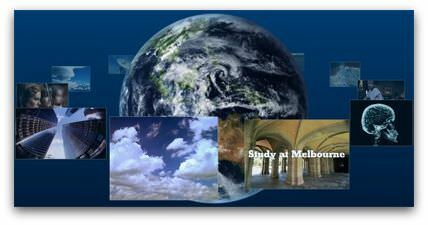 Consider, for example, one particular facet of the Melbourne Model degree and how it has operated. Each undergraduate student must take one 'breadth' subject — a subject outside their chosen faculty — every semester. This element of the degree is designed to broaden academic horizons. It would be no bad thing to encourage students to broaden their educational frame of reference. But stroll around the Parkville campus and ask a few questions, and a common theme emerges: among first year students there is a sense of being academically channelled, constrained to take subjects that do not engage them and that in reality impede. Conversations among my fellow students often revolve around the trials of timetable clashes, poor academic advice and limited options. One friend described feeling as if they'd been thrust into a corner with no room to move. Students' negative experience of breadth requirements and the new model in general stem chiefly from a lack of subject options and limited staffing. In the context of the Faculty of Arts the changes have been dramatic. The once proud Philosophy department has been whittled away, Renaissance studies are not on offer in 2009 and the Political Science and English departments are offering a woefully limited array of options. The widespread subject cuts and continuing reductions in staff numbers have eaten away at students' plans and in effect have rendered the new breadth component impotent. With so few subjects to choose from, horizons seem to be shrinking rather than expanding. It becomes increasingly difficult to 'dream large'. What is more, talented teachers seem to be jumping ship. Three of my subject tutors stood out as interesting, intelligent and energetic young people. They were in the midst of completing PhDs or further research in different fields, but they were all leaving to take up research or other positions in Japan, the US and India. One told me that he would work here if he could, but there were too few university research positions in Australia. His was the same complaint as my friend's: boxed into a corner with limited options other than to leave. All this contributes to an atmosphere of doubt among students on campus. It is difficult to accept the line that our degrees are being enhanced when, according to our experience, they are being steadily eroded. Great universities buzz with dynamism and exploration; undergraduates are stimulated, pushed to think independently and critically, or so I have always imagined. I cannot say that my first year at the University of Melbourne has been characterised by dynamism. Instead, things seem to be standing still. The question is begged: in the cause of delivering a 'broad education', will the University of Melbourne end up specialising in nothing more than mediocre undergraduate degrees? The Melbourne Model is here to stay and it has to work for the sake of reform of the whole tertiary sector in Australia. But all Australian universities must learn from this experiment that depletion is a road to nowhere. The Vice Chancellor of the University of Melbourne, Glyn Davis, himself has admitted publicly that there comes a point at which funding is so thin that 'the quality of what you can offer students ... begins to suffer'. As students, we have had first hand experience of this frightening trend. If the Federal government is squeamish about keeping Australian full-fee university places (a key source of funding for universities), then it needs to allocate extra funding to the tertiary sector itself. If it does not, subjects (and staff) will be axed, the paint will peel off lecture room walls, rankings will drop and talent will flee. No one wants that to happen. We want our universities to be dynamic hubs of research, study and student activity. If there was ever a time for a coordinated and well funded education revolution, it is now. In 2007 Ben Coleridge worked as a language assistant at a university in Novgorod just south of St Petersburg. He has just completed his first year of an Arts degree at the University of Melbourne. With the touting of HELP type fees for TAFE courses one must wonder about Australia's attitude to education. Whether it is a source of future knowledge and national expertise, or merely a collection point for future government funding. I have just finished a graduate certificate from Curtin University completely online without the need to attend one on-campus lecture. Perhaps this is the future of Australian university education; mixing and matching subjects from different universities, never meeting a lecturer face to face. I also completed two undergraduate degrees completely online; well almost, four out of the 39 subjects I completed had compulsory four day on-campus workshops, and that was the sum total of my university experience. I have been told by those who actually attended university that it was the best time of their lives. I enjoyed study, but I wondered what I did miss by not actually being there, although now I wonder if not being there was the better alternative. The author of the article has eloquently explained the problems confronting Australian universities. I decided to migrate to the US despite the current economic difficulties to continue my academic teaching and research. I still haven't found work but have had more interviews than in Australia. The US has lots more research opportunities than Australia and Mr Rudd's much vaunted education revolution hasn't even gotten off the ground. If you want to stop the brain drain, then increase funding and offer decent salaries to keep scholars in Australia. Having lived in Australia for most of my life, I found a very strong anti-intellectual bias prevailing in the wider Australian community. "Flawed model? GOSSIP in academic circles at the University of Melbourne continues about how long the so-called 'Melbourne Model' can survive. Indeed some critics claim it's on the verge of collapse." Having worked there as an academic, and seeing the chaos in course curriculum, woeful planning, and staff being pushed out in ever increasing numbers, it is no wonder that Ben found the hype of the Melbourne Model did not live up to the reality. All I can say is that things were far better before Glyn. I am now out of there - thank heavens.